Graves Motorsports 2017 Yamaha R6 Diamond No Cut Frame Sliders. 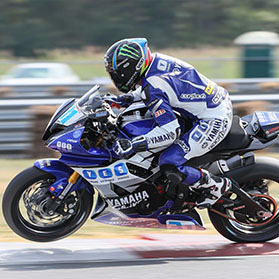 Graves Motorsports frame sliders for the 2017 Yamaha YZF-R6 are designed to help protect your motorcycle in the event of a low speed crash or tip over. Graves Frame slider kits are engineered on the race track and have precise fitment. The unique diamond shape design of these sliders make for a sleek and innovative profile that keeps the protection of your motorcycle the #1 priority. Compare these with other brands' features or pricing and the clear winner is the Graves Motorsports. CNC machine 3D cad brackets deliver precise fitment and unequal Graves Race Team development and testing. Features integrated clutch cable holding tab. Finally someone makes a slider/protector that is designed to do the job of protecting! Looks incredible..